MAMAMOO's 1st studio album "Melting" drops on February 26th. Are you hyped? We're hyped. The girl-group previously released the single, "I Miss You", making it available for free downloads. 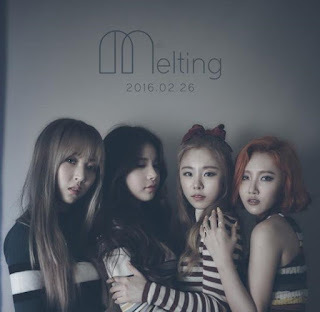 Their agency, RBW, recently confirmed the official release date for the album. This marks the first album since "Mr. Ambiguous" was released in June 2014. Since then they've released multiple singles, including “Piano Man” and “Um Oh Ah Yeh".